In November, I had the privilege of engaging in a discussion at the offices of education law firm,Franczek Radelet, with University of Chicago Constitutional Law Professor, Justin Driver. 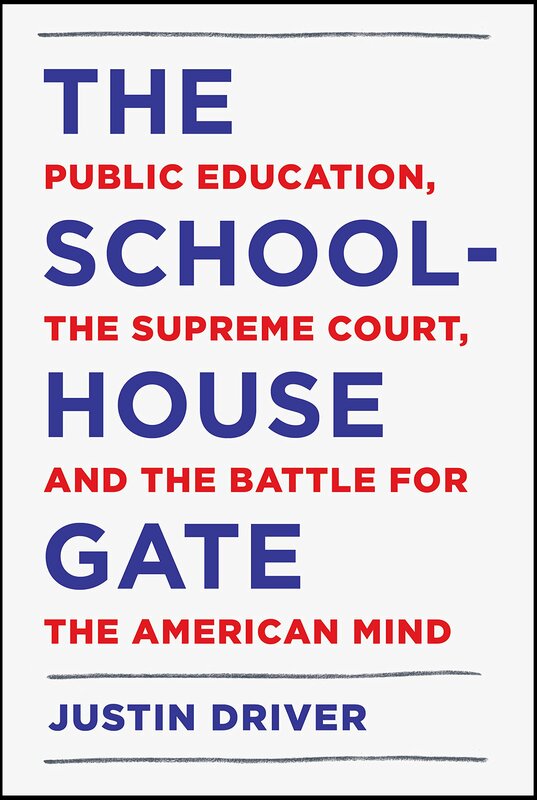 His new book,The Schoolhouse Gate:Public Education, the Supreme Court, and the Battle for the American Mind,inspired me to think more deeply about how our schools are addressing the needs of today's students. Professor Driver reminded us of Supreme Court Justice Abraham Fortas' message in his 1969 majority opinion inTinker v. Des Moines—students are not closed-circuit receptacles meant to be "filled" with information.Fortas also cited Justice James Clark McReynolds, who rejected the notion that schools should "foster a homogeneous people." If the production line is a thing of the past, visible only in our rearview mirrors (or rather, the rearview mirrors of our self-driving cars), why do most schools still educate students sitting in desks, facing the front of a room? Why is the teacher still expected to "fill" students with information, as if they were "receptacles"; as if they were going to go work on the production line? True, some jobs still remain in the realm of previous industrial revolutions, but this number is ever-shrinking, and not representative of future employment. Two-thirds of the jobs awaiting our current K-12 students do not even exist today. In this "fourth industrial revolution," things cannot be done as they always have been. In the midst of change, we can only imagine what the fifth industrial revolution might be like for future generations. Is your K-12 school preparing students for the unknown tomorrow, or are they resting on their laurels? Read more about how Bennett Day School is preparing students for the future here and here. Bennett Day School, Inc. is a participant in the Amazon Services LLC Associates Program, an affiliate advertising program designed to provide a means for websites to earn advertising fees by advertising and linking to amazon.com. This program helps generate resources for our organization. We encourage you to visit Amazon via smile.amazon.com so you can also support your favorite charity at the same time. For us, that is the Friends of Bennett Day School to support grants and scholarships for our school community, thank you.